The Hilton Zurich Airport hotel has completed the renovation of its meeting rooms on the fourth floor, incorporating a modern design. 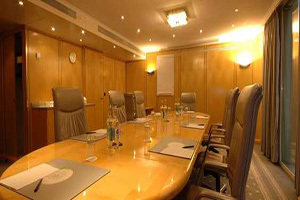 There are 25 meeting rooms available, catering for between 2-250 adn the hotel has 323 guest rooms. The property carried out other renovations last year, including work on its Market Place restaurant, its Lobby Bar and Executive Lounge.